Although they refer to 2 different processes the terms tuckpointing and repointing are often used interchangeably. This perhaps because they both involve replacing mortar in brickwork. However the 2 processes use different approaches; one largely utilitarian the other utilitarian but with an aim that is more overtly cosmetic. Below we’ll take a closer look at both processes as well as what’s involved with each and when you might want or need to call for tuckpointing or repointing. 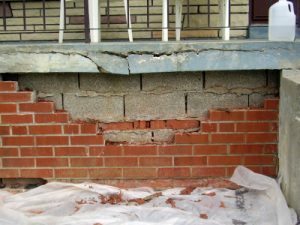 When the mortar between your brickwork breaks down you’ll need to have it repaired as quickly and effectively as possible. But do you need repointing or tuckpointing? Toronto brick repair experts Cummins Restorations explain the difference. Repointing – Mortar on brickwork, particularly older brickwork, tends to get brittle over time and either fall out or be forced out by the house settling, the freeze/thaw cycle of water that is trapped in tiny cracks or because of accident. Replacing it as quickly as possible is key to maintaining the integrity of your home’s brickwork and the safety of everyone inside. Repointing involves a straight up replacement of the damaged mortar. Any loose or otherwise compromised mortar is removed from between the bricks and a 1 for 1 replacement occurs with new mortar filling in the space. Repointing is without a doubt the simpler of the two methods and is extremely effective at repairing damage to your mortar. Tuckpointing – Where repointing and tuckpointing converge is that they both involve removing any loose or damage mortar. Where they diverge is in how they go about replacing it. With repointing the damaged mortar is replaced straight up with new mortar, typically white. With tuckpointing two different colour mortars are used with one being the colour of the brickwork itself and the other being (typically) white. Once the compromised mortar is removed the two different colour mortars are used to create the impression that the mortar joint itself is thinner than it actually is. That is, the coloured mortar is used to make the bricks look bigger than they are and the joint look narrower than it is. Tuckpointing evolved more than 200 years ago as a way to imitate the look of expensive “rubbed brick” that was all the rage in England at the time and which featured the thinner joint. Do You Need Repointing or Tuckpointing? If you believe you need brickwork or mortar repair call the company more Toronto homeowners trust than any other, Cummins Restorations. We’ll get someone out to look at your brickwork in a hurry, diagnose the problem and provide you an estimate for repointing, tuckpointing or any other procedure you may require. That’s Cummins Restorations for tuckpointing in Toronto on (416) 992-7965. Chimney bricks themselves can easily last over a hundred years, but the mortar that holds the bricks together, a porous concrete mixture, is likely to begin deteriorating every 25 years or so. If this is allowed to happen, the chimney will eventually collapse, causing damage to the home it was attached to and necessitating a costly rebuild of the entire chimney. A much less hazardous and less costly option is to invest in tuckpointing – the process of replacing the mortar on the cracks between bricks that look problematic. What Benefits Does Tuckpointing Have? Prevent water from seeping through old mortar and into the chimney. Said water can cause structural damage and cause mold or mildew, creating additional blockage and a bad smell in the chimney. Increase the value of your home, as a chimney with healthy masonry is a big selling point. Obviously, improve the structural integrity of your chimney, preventing the immediate need for chimney repair. Meticulously scraping away any mortar that looks like it needs replacing. Mixing new mortar that agrees with the type and exact color of the old mortar that is still good. Carefully spreading the new mortar. Cleaning up any excess mortar that has dripped onto bricks before it dries. You can do it by yourself, in which case you may benefit slightly from a less costly and, possibly, more customizable experience. It is highly recommended you hire professionals for the task, however, for several reasons. Doing it yourself can be extremely dangerous in a number of ways. Firstly, any job that requires you to climb over a story up on a ladder and perform a laborious but detail-oriented task while you’re up there means risking life and limb. Second, the mortar holding together chimneys is a hotspot for creosote and other toxic materials. Unless the person performing the procedure is a trained expert, it is a very time-consuming task. The many hours you will save by hiring a chimney repair service to do it will more than compensate for the modest fee. The chimney is a major attraction to potential home-buyers, and making mistakes while doing it yourself will devalue your home. 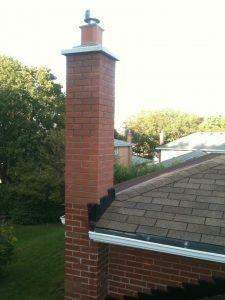 Luckily, the highly-skilled craftsmen at the Toronto-based Cummins Restorations are eager to perform your tuckpointing and keep your chimney safe for many years to come. How Will Tuckpointing Benefit Your Property? This is something that we’ve heard quite frequently over the past 22 years. Home and business owners alike want to know what’s in it for them when they spend their hard earned cash. They want to work out whether their home improvement budget is better spent on tuckpointing or if they would be wiser to buy that new bathroom vanity that they’ve had their eye on for a while. It’s a fair question and ultimately almost all purchases and investments that we make are weighed against the benefits that we will receive in return. To help you make your mind up in this particular instance, we’ve listed a few of the main benefits of tuckpointing below, all of which have been experienced by hundreds of Toronto homeowners that we’ve helped over the years. Return on Investment: Is Tuckpointing Worth It? Preserve Condition of Mortar Joints – This is vital from both a visual and a functional perspective. Masonry with the mortar properly intact not only looks attractive, but the mortar joints also protect it from water and a number of other threats (think of vegetation, salts and frost) that could cause more extensive damage. Stronger Walls and Chimney – The worst thing that you can do when you realise that part of your wall or chimney requires repair, is do nothing. While bricks and mortar may appear strong even when damaged, just a small breach of your home’s first line of defence can lead to moisture problems indoors, lower levels of energy efficiency and uncomfortable indoor temperatures. Not to mention the fact that weathering of these areas and subsequent damage will be greatly accelerated. Cost Effective Solution – Lets run through the likely scenario if you don’t invest in tuckpointing. As already mentioned, mortar joints and bricks will weather and significantly deteriorate in condition, often to the point whereby standard masonry repair will no longer be possible, meaning a tear down and rebuild is often the only viable option. As you can imagine, this would cost you considerably more than tuckpointing would have in the first place. Boosts Your Property’s Value – One of the main things that property surveyors will check when inspecting your house is the quality and the condition of the masonry. They will assess whether it’s likely to need any serious repairs in the near future and this will undoubtedly have a significant impact upon the value that your home is given. Not only that, but masonry that is in good condition also looks more visually pleasing, which ensures visitors are left with a positive first impression. Whether you’re still unsure if your home requires tuckpointing or you would like to make an appointment for a consultation with us, contact our team on (416) 992-7965. What Do You Need to Know About Tuckpointing? You probably don’t pay much attention to the condition of the material that your home is made from, whether that be brick or stone. After all, it lasts forever, right? While the actual material is able to last for a long, long time (a century is not uncommon), the material that is used to join the bricks or stone together isn’t able to last for quite so long. 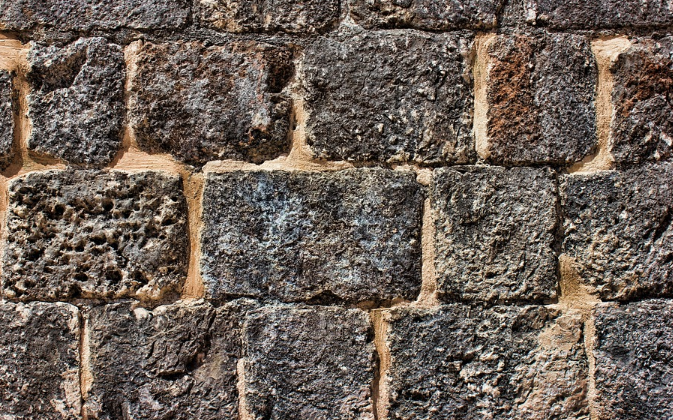 These are known as mortar joints, and when exposed to tough weather conditions such as those found in Toronto, they may show signs of wear and tear after approximately 20 years. This is when tuckpointing is required, which is essentially repairing damaged mortar joints. If you’re not sure what tuckpointing involves or when it might be required, keep reading as we’re going to point out a number of things you need to know before contacting a masonry repair contractor. What Does it Involve? – As already mentioned, tuckpointing at its most basic is simply repairing damaged mortar joints. When a masonry repair contractor does this, they remove the old mortar (but only to a certain depth obviously), before replacing it with new mortar, thus strengthening these joints (which is the primary goal) and improving the aesthetics of the exterior of your property. Does Your Property Require Tuckpointing? – Many people struggle with determining when they need to make that call to a masonry repair contractor to have tuckpointing done. However, in reality it’s not all that complicated to tell whether it needs to be done or not. Simply scrape a key along the surface of one of the mortar joints and if it turns the mortar to powder, you need to make that call, and if it doesn’t, you don’t. Is Tuckpointing Really Necessary? – There’s no clearer way to say this than “YES.” If the mortar joints at your property have deteriorated, it’s absolutely vital that tuckpointing is done, otherwise the weakened joints may cause accelerated weathering of the bricks or stones that make up your home. And if that happens, moisture may be provided with a path inside your property, which leads to a whole host of problems such as lower energy efficiency levels, mold and mildew growth, poorer living conditions etc. Tuckpointing Can Save You A LOT of Money – If you don’t tuckpoint at the right time and the condition of your walls deteriorates considerably, the only solution might be to tear them down and start again. As you can imagine, that would cost considerably more than tuckpointing would. Will Tuckpointing Always Fix the Problem? – No! If done too late it won’t have much of an effect. You can tell this is the case if the bricks or stones that form your wall have already become loose. Tuckpointing is designed to prevent the situation from getting as bad as this, but if it’s already at this stage the wall may need to be completely rebuilt. If you require further information on tuckpointing, give our masonry contractors a call.